No two problems are the same, so it requires different techniques to help each unique person. We provide spinal manipulation utilizing "state of the art" chiropractic techniques. Never in the history of chiropractic have we been able to provide the level of help and expertise that now exists. These newer methods are even safer, more comfortable and more effective than ever before. 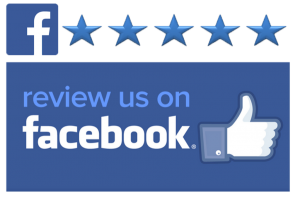 As a Doctor of Chiropractic, Dr. Baker has years of training and experience in spinal adjustment. , he use an adjusting style commonly referred to as “Diversified.” First, an analysis of your spine is performed. This can initially involve a case history, exam and possibly X-ray pictures or advanced imaging. Subsequent visits may include motion palpation, with the chiropractor feeling the joints move as you turn and bend. Or, a leg check may be performed, to uncover an imbalance in the pelvis or lower spine. With the malposition or restriction of one or more bones identified, a specific manual thrust is administered. The direction, speed, depth and angle that are used is the result of years of experience, practice and a thorough understanding of spinal mechanics. The energy delivered during the thrust may produce a slight “popping” sound from the shifting of gas and fluids in the joint. This sound may be interesting, but is not a guide as to the value or effectiveness of the adjustment. While improving spinal biomechanics can reduce nervous system interferences, virtually all joints of the body can be adjusted to help restore proper range of motion. We know that no two people are the same, with that said neither should be the tools used to treat them. Dr. Baker utilizes additional tools instead of or as an adjunct to spinal manipulation. The two main tools utilized are called the Activator instrument and pelvic blocks. The Activator is a devise that delivers a high speed low force to a joint to increase proper function in the same way that the spinal manipulation does. Pelvic blocks are wedge-shaped devices that help correct your spine and properly “tune” your nervous system. By knowing exactly where to position these blocks, we use the weight of your body to make corrections, naturally. Both techniques are used when a patient requires a gentler treatment. This technique utilizes a special table that stretch the spine to allow for proper joint motion as well as decreases pressure on nerves. This is an ideal treatment for a slipped disk or an inflamed joint in the lower back. Exercises are often given to accompany chiropractic treatments. Specific exercises may be prescribed to aid in strengthening the muscles around the area of injury. The Doctor may or may not introduce exercises immediately. Recent studies have shown that the best form of exercise to aid in the reduction of pain originating from the musculoskeletal system is regular aerobic exercise. Such a program should include exercises such as brisk walking, jogging & swimming, cycling or cross-country skiing., An aerobic exercise program should cause an elevation of your heart rate to approximately 80% of the recommended maximum for your age. This should be sustained for 30-40 minutes four times a week. If your lifestyle has lacked sufficient exercise, or if you have any history of cardiovascular disease, be sure to have a cardiovascular examination by a qualified physician before initiating such an exercise program. We have developed a comprehensive Lifestyle-change program which helps treat other underlying conditions which may be attributing to your condition. This program uses laboratory testing, body mass measurements and other data to tailor a customized diet, exercise and stress management program to our patient's needs. Our goal is to help every patient achieve a lifestyle that prevents chronic disease and optimizes health. Dr. Baker will empower you to make the lifestyle changes you need to achieve your health related goals. We can help you evaluate your current eating habits, and assist you in determining the optimal nutritional foundation for your health and wellness. As part of our program we provide specific recommendations on nutritional supplements and healthy food choices to enhance our patient´s return to optimal health. We carefully evaluate what supplements you are already taking and make recommendations to optimize your state of wellness. It is important to know that Dr. Baker is food first. More supplements are not always better. In addition Dr. Baker can provide a structured nutritional program based on your individual needs. The body, mind and spirit are interconnected components of whole health. One's optimum health potential can only be reached when a "balance" exists between these three components. Pain and disease are often "symptoms" which results from imbalance in our lives. Current research has proven the undeniable link between the human thought process, and the function of the body. More and more we hear of scientifically documented cases of "spontaneous remission" of disease sparked not by some high tech medical intervention but by a paradigmatic shift in one's own thought process. This verified link between mind and body has never been more apparent then with patients suffering from chronic pain syndromes. Dr. Baker has had a keen interest in the mind-body approach. We help patients to see how their levels of stress, anxiety, anger and fear often perpetuate a pain syndrome long after physical injury has healed. 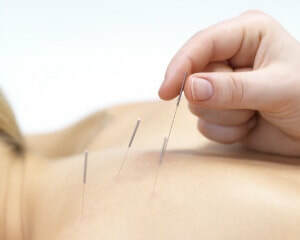 ​Intramuscular Manual Therapy (IMT), also known as dry needling, is a manual therapy technique designed to improve muscle function, induce relaxation and decrease pain. This technique is performed in addition to the traditional therapy assessment, exercise and mobilization techniques. Dry needling involves the insertion of a sterile needle into a muscle to decrease spasm and trigger point activity. These thin needles are inserted at the myofascial trigger points, which can be a cause of referred pain. The muscles then contract and release, improving flexibility and decreasing symptoms. This can help resolve pain and muscle tension as well as promote healing. This is not traditional Chinese acupuncture, but is based on a Western medical approach to myofascial trigger points and physical assessment. Dry needling is effective for resolving soft tissue dysfunction, tendonosis, contractures, trigger points, tissue adhesions, and other neuromusculoskeletal conditions. Potential advantages include immediate reduction of local, referred and widespread pain, and the restoration of range of motion and improved muscle activation patterns.